Why should you be interested in this? Well, how would you like to be able to grow your own food year-round that’s far cheaper and healthier than what you could buy in the store? If you think it’s worth a shot learning, then please continue reading. When choosing a container for the system, plastic is most commonly used, but other materials such as: concrete, metal, vegetable solids and wood are also possible. As long as the container excludes light to prevent algae growth in the nutrient solution and is able to withstand the pressure of filling it with water, everything should be fine. Please watch this YouTube video to give you a better idea of how to build this system… click here. Just ignore him using a storage tote tube; a sturdy bucket will work much better for the pressure of the water. His pepper plants were able to grow 5 inches in only one week. 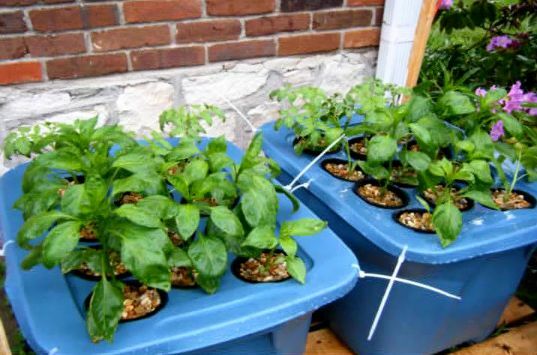 Although in the video the peppers were grown outside, you can just as easily grow peppers indoors, as well as other vegetables, as long as they are able to receive enough sunlight through a window. This will definitely help put you and your family on their way to self-sustainable living no matter where you live. Good Luck!